The most prominent in musical impressionism is the use of “color”, or in musical term, timbre, which can be achieved through orchestration, harmonic usage, texture, etc. Other elements of music impressionism involve also new chord combination, ambiguous tonality, extended harmonies, use of modes and exotic scales, parallel motions, and extra-musically, evocative titles such as Reflets dans l'eau ("Reflections on the water", 1905), Brouillards ("Mists", 1913) etc. Claude Debussy and Maurice Ravel are two leading figures in impressionism though Debussy rejected this label (he mentioned in his letter that “imbeciles call ‘impressionism,’ a term employed with the utmost inaccuracy.”). Debussy’s impressionist works typically “evoke a mood, feeling, atmosphere, or scene” by creating musical images through motives, harmony, exotic scales (e.g. whole-tone scale, pentatonic scales), instrumental timbre and other elements, whereas Ravel’s impressionist or symbolist works are essentially represented in a more refined and lucid way. Some impressionist musicians, Debussy and Ravel in particular, are also labeled as symbolist musicians. One trait shared with both aesthetic trends is “a sense of detached observation: rather than expressing deeply felt emotion or telling a story,” as in symbolist poetry, the normal syntax is usually disrupted and individual images that carry the work’s meaning are evoked. Ernest Fanelli was claimed to have innovated the style, though his works were unperformed before 1912. Other composers said to have been influenced by Impressionism include Isaac Albéniz, John Alden Carpenter, Frederick Delius, Paul Dukas, Manuel de Falla, Charles Tomlinson Griffes, and Ottorino Respighi. ^ J. Peter Burkholder, Donald Jay Grout and Claude V. Palisca, A History of Western Music, eighth edition (New York: W. W. Norton & Company, 2010). ISBN 9780393932805. ^ Gasser, Nolan. . Accessed 9 November 2014. ^ J. Peter Burkholder, Donald Jay Grout and Claude V. Palisca, A History of Western Music, eighth edition (New York: W. W. Norton & Company, 2010):. ISBN 9780393932805. ^ Arbie Orenstein, Ravel: Man and Musician (Dover Publication, 2011):. ISBN 9780486266336. ^ "Impressionism, in Music". The Columbia Encyclopedia (6th ed. ed.). New York: Columbia University Press. Retrieved 2012-12-25. (Archive copy from 3 April 2009). Burkholder, J. Peter, Donald Jay Grout, and Claude Palisca. A History of Western Music, eighth edition. New York: W. W. Norton & Company, 2010. ISBN 9780393932805. Gasser, Nolan. 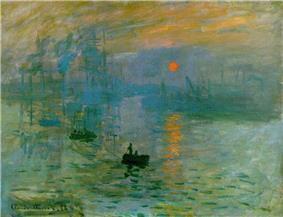 "Impressionism". Classical Archives. http://www.classicalarchives.com/period/8.html. Accessed 9 November 2011. Palmer, Christopher. Impressionism in Music. London: Hutchinson; New York: Charles Scribner’s Sons, 1973. Orenstein, Arbie. Ravel: Man and Musician. New York: Dover Publications, Inc, 2011. ISBN 9780486266336.